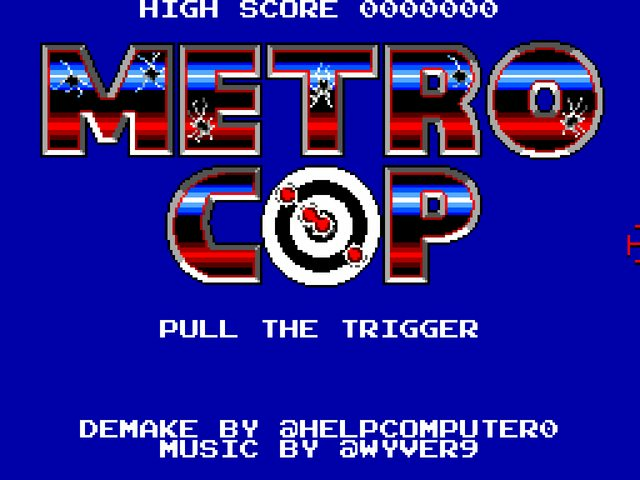 Metro Cop is a game I made for the 2018 Demake Jam and is a version of Virtua Cop as it might have looked on the Sega Master System. Impressive. Did you make/recreate all the graphics by hand or ran them through a filter of some sort? It looks very authentic as well. Small things. Like how the splash screen 'resets'. Thanks! I drew all the graphics in Aseprite, some I copied the design of the original and some I had to redesign to fit. Just played it, brilliant work! Plays really nice and looks top notch. Very nice! We still have the old light guns, Virtua Cop disc and Sega Saturn in our lab at work - this definitely scratched an itch! The sight on the enemies with the countdown triangles was spot on. I started out shooting 'offscreen' to reload, whoops. Next up House of the Dead? House of the Dead would be cool, but I'll finish other projects or make a full version of VC before that. Sounds good, I will watch for the full version. 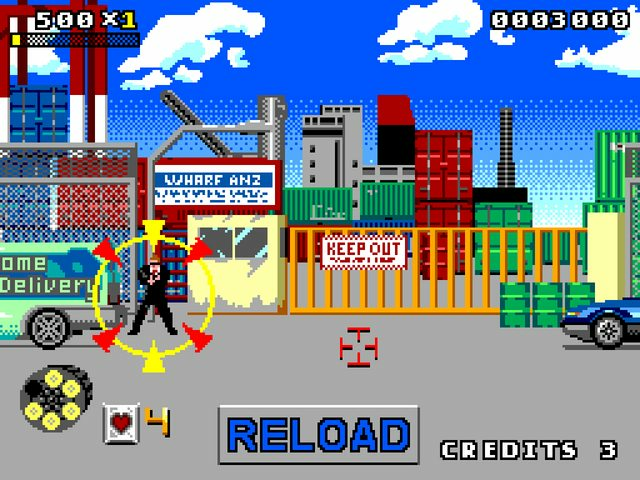 (I worked at Sega in the past, so Virtua Cop is running on a development version of the Saturn - the disc door sensor is flakey, so we have to keep a paperweight on it so it works, of course, that paperweight happens to be an old Xbox :) ) We also use the Saturn to play 8 player Bomber Man, the best version of Bomber Man ever made. 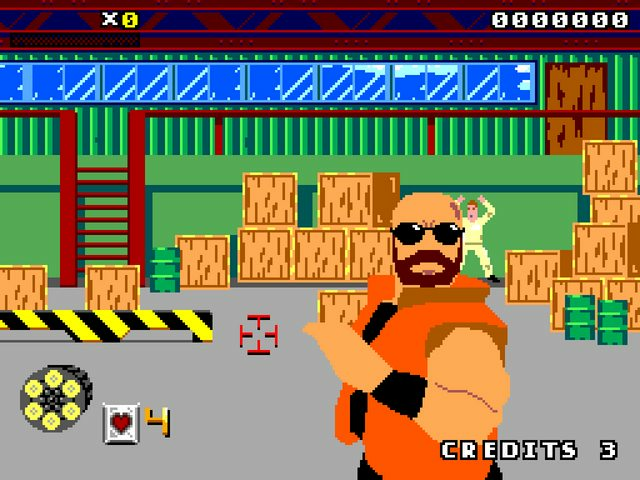 Mikal-quote: "I worked at Sega in the past, so Virtua Cop is running on a development version of the Saturn (...)"
hello Mikal, what did you do at Sega? 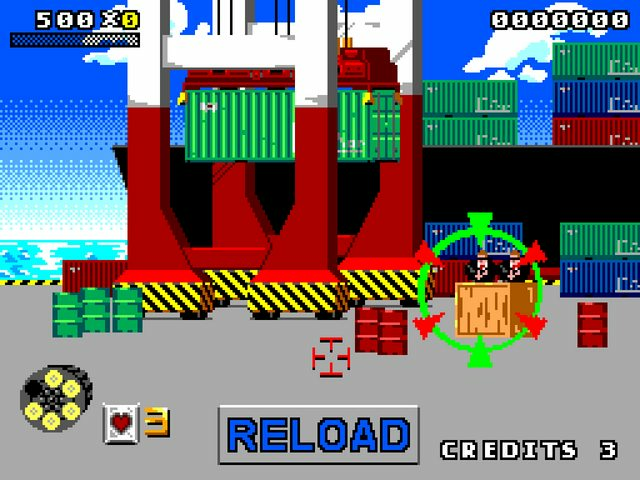 PS: I forgot to mention how I also like this game (and the classic version of it).